Standing room only at the opening of Hidden Valley Revealed on September 17, 2017. Hidden Valley Revealed opened this weekend, pulling together a number of local artists in celebration of the Hidden Valley natural area near Fairview Mall. 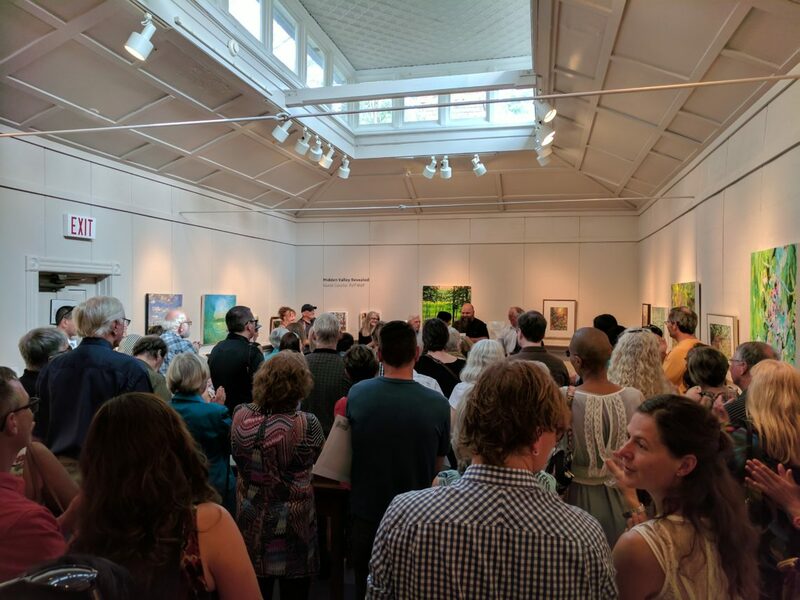 The Homer Watson House is a great venue for this show, especially since the ceiling of the bright main gallery gives visitors a view of the treetops outside – an appropriate accompaniment to the landscapes inside. 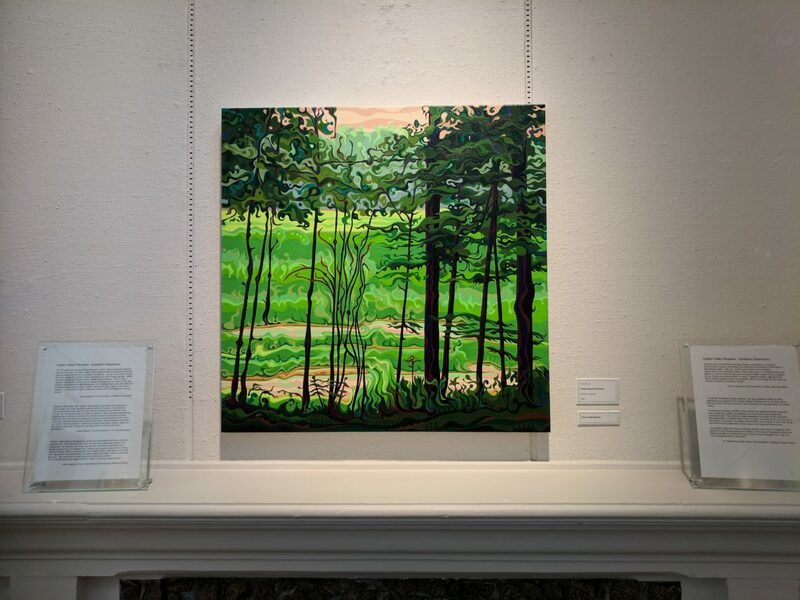 “Hidden Beyond The Green” by Amy Ferrari (Acrylic on canvas, NFS) is granted prominence above the fireplace in the main gallery, across from the entrance (you can see it in the photo of the room above). 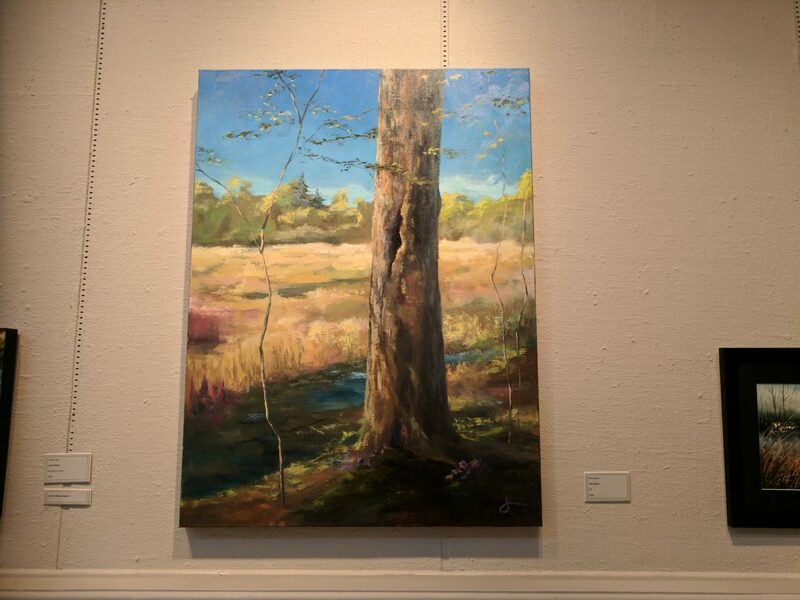 The bright green of the field is a warm glow behind the red-purple pine trees and foliage. A closer look reveals Ferrari’s signature style, resplendent in waves upon waves that bring to mind either an ocean or an arabesque in typography. 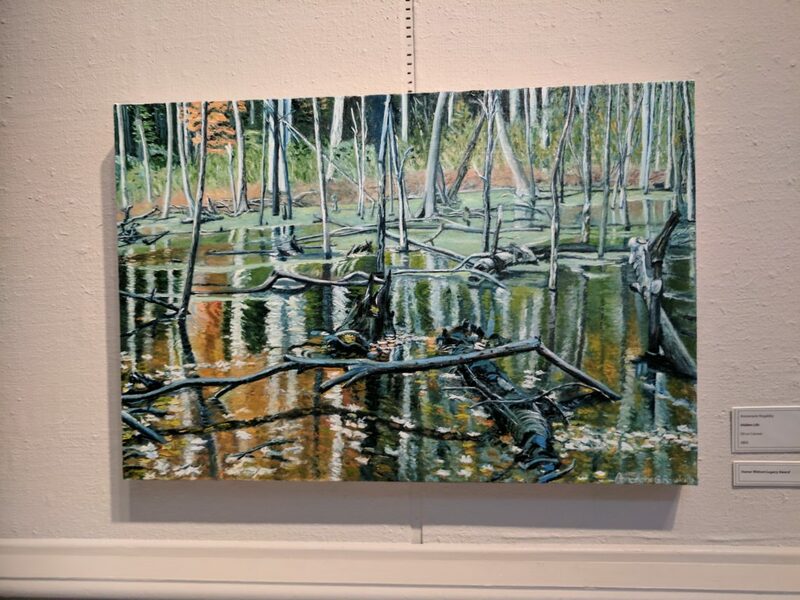 “Hidden Life” by Annemarie Rogalsky (Oil on canvas, $800) looks at vibrant reflections in the water. The reflections at the bottom fade slowly into the muddy, foam-green ground near the top of the canvas, and the skeleton-white trees stick out from the water and the mud intermittently. 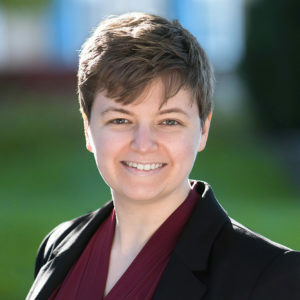 Homer Watson Legacy Award. 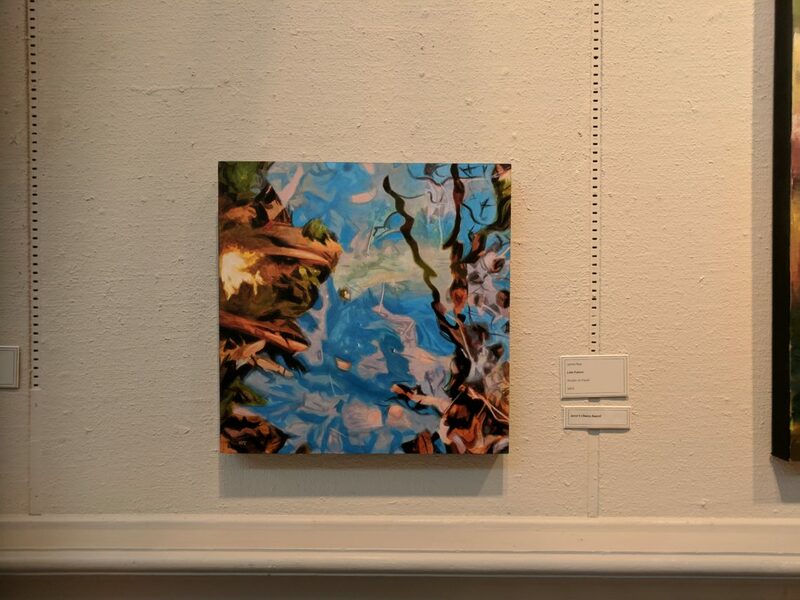 “Late Future” by James Nye (Acrylic on Panel, $450) showcases the crinkling green-brown of the forest floor, with glowing clear-blue water pooled inside, as if the forest floor was actually a candy wrapper. The green-brown lines that reach through the blue wiggle into abstraction, leaving me unsure if the forest floor is poking up through the magical liquid, or a piece of branch is extending out over it. Juror’s Choice Award. *I really like these colourful palettes I’ve been seeing in oil paintings recently, and I hope we keep seeing more of them. 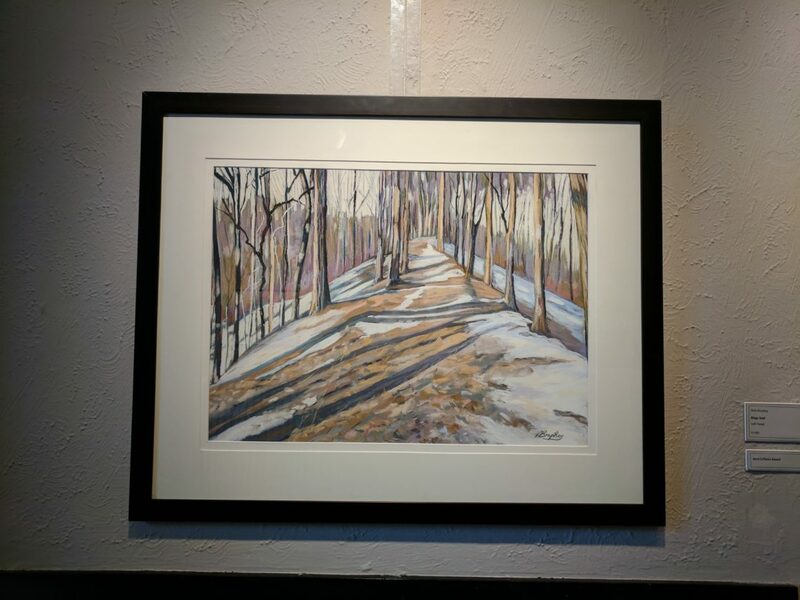 Ridge Trail by Vicki Brophey (Soft Pastel, $1100) looks at the subtlety of trees in winter. Yellow grass pokes through the at the trail at the top of a hill through the receding coat of snow. Above the snow on the hill, the colours are just a little more saturated, allowing red and purple to contrast the desaturated yellows and blues of the hill, and the Stark white of the snow and the yellow-white of the sky. Juror’s Choice Award. Hidden Valley Revealed runs until October 22 at the Homer Watson House & Gallery on 1754 Old Mill Road, Kitchener, with an artist talk planned for Saturday, October 14 from 1 to 3 pm.